Born: August 1, 1832 in Falmouth Ma. 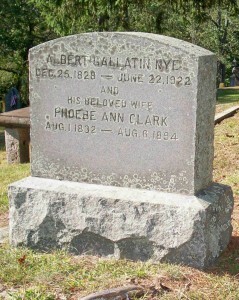 Died: August 6, 1894 in Oakland Ca. at 62 yrs. To: Albert Gallatin Nye; (1828 – 1922) (Ebenezer Nye, Jr., Capt. & Syrena Dimmick); Albert married (1) Susan L. Chadwick (1831 – 1854) (Micajah Chadwick & Jane G. Fisher) in int. December 30, 1852 & married (3) Eliza E. (Swift) Ellis (1834 – ?) 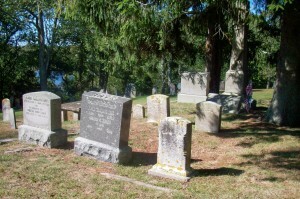 (Thomas Swift, Jr. & Temperance Crowell) in Bourne Ma. on January 27, 1895; Eliza married (1) Clark S. Ellis (1820 – 1891) (Thomas Ellis & Rebecca Burgess) in Sandwich Ma. on March 5, 1857. 1. 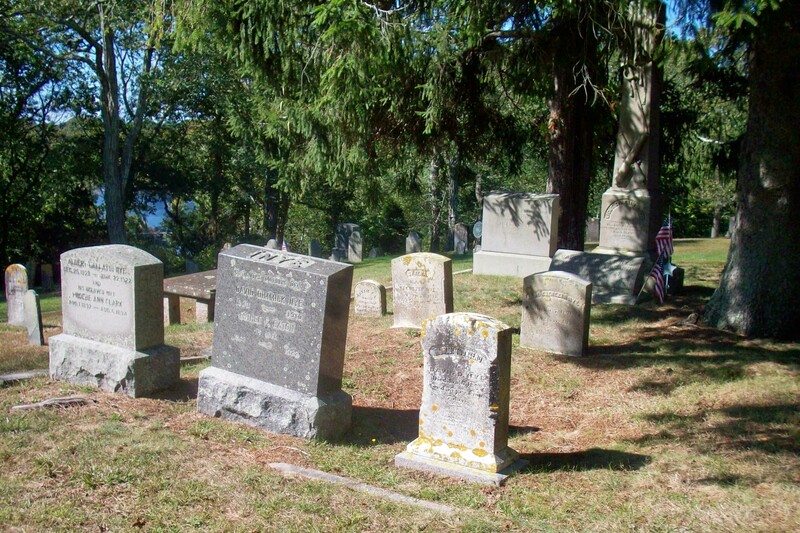 Harriet/Hattie Frances Lawrence Nye; (January 24, 1862 – December 5, 1867); Harriet/Hattie died in New Bedford Ma. & is buried in Cataumet Cemetery. 2. Albert Francis Nye; (October 30, 1868 – Aft.1930); Married Mary Elizabeth Klenck (May 1870 – ?) (Richard Klenck & Margaret (–)) on Abt.1895 & had three children; They were divorced; Albert lived in California, Oregon & Washington.